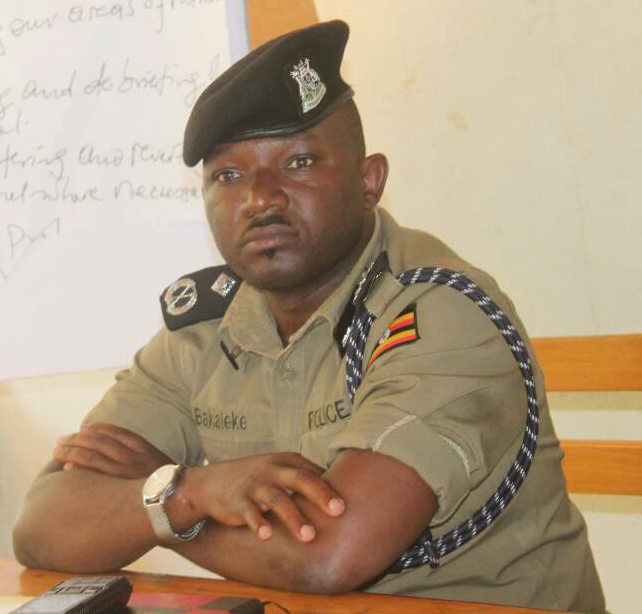 KAMPALA – Uganda police leadership has issued a 3-day ultimatum to Assistant Commissioner of Police (ACP) Siraj Bakaleke to report to the Police Headquarters Naguru or be declared a deserter. Bakaleke, a former Police Regional Commander in Kampala Metropolitan Area [KPM] is said to have gone away without leave from his duty station in October 2018. This has since prompted Police authority to issue instructions to the District Police Commander of Buyende, to search for Bakaleke at his father’s home in Innuula Village, Bugaya Sub County and advise him to report himself before November 25, 2018. According to a message signed by ACP Muluya Moses which declared him away without official leave, the search for Bakaleke should be treated as urgent. “ACP Siraj Bakaleke has been reported missing since October 2018. DPC Buyende is required to check for him at the home of Matyama Amuza of Inuula Village…. and advise the same to report back for duty by 25/11/2018 or else be declared a deserter,” reads the message in part. Bakaleke was suspended from duty in May 2018 to pave way for investigations into alleged fraud of 1.4 billion Shillings from two South Korean Nationals. Charges of fraud, kidnap and abuse of office was sanctioned against Bakaleke and nine other suspects and the case was taken to court in September 2018. While eight of the suspects have since taken a plea to the charges, Bakaleke and lawyer Paul Wanyoto have yet to be charged with arrest warrants issued against the two of them. On Tuesday, the Directorate of Public Prosecution informed Court that they had received information that Bakaleke had freed the Country. He faces the charges with six other police officers who include; D/ASP Innocent Munezero, D/ASP Nuwagaba Innocent, D/AIP Robert Asiimwe, PC Amanya Junior, PC Babu Gastavas and PC Kenneth Zirintuusa who are accused of having arbitrarily directed the wrongful arrest and confinement of 3 Korean nationals.